Fantasy, western horror... sign me up! A unique read for a unique blending of genres. See what the #CJSReads crew though of this >300 page book below. Fantasy, western horror? Say whaaaaaaaaa? Li Lian has been a witch her entire life - it's the only thing she knows and though she knows she needs to keep her abilities hidden, she becomes reckless... especially when it comes to protecting her family. 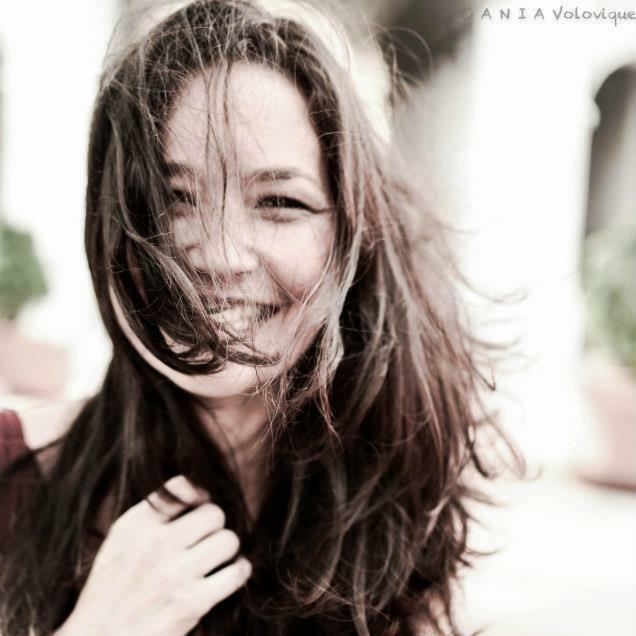 When a premonition from her mother comes true, she finds her husband shot in the back, dying on the floor. The man in black smirks as he mounts his horse and takes off. With no proof, and people who talk too much, she gets put in jail for his murder - but upon releasing herself, she swears to go after her husband's killers, all while carrying her daughter. Told as a story/letter to her daughter, we see her journey from childhood, to meeting her husband, to his death and her determination to not be hanged for it and lose her daughter in the process. Hell NO! Ain't no thing like a woman scorned... and when she's a witch as well, everybody better watch out! With some comic relief sprinkled throughout, Definitely a unique perspective and blend of genres. At a little bit over 250 pages, it's a quick read and I do wish I had more background on Li Lian - there were definitely areas of the book I wish had been expanded on. I just needed more! I would a hundred percent like to see a follow up book with some more background on the now three generations of witches in a wild western. Want a unique genre blend of (very light) horror, fantasy and western told as a story from mother to daughter? Take the Devil's Call. 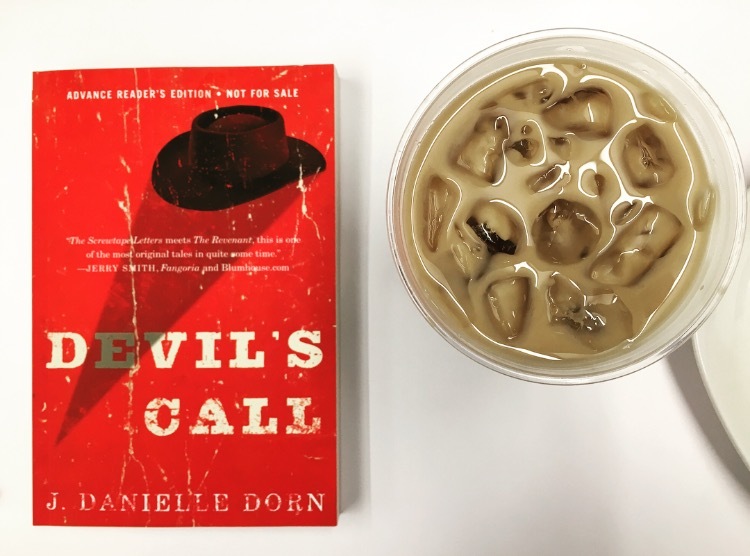 When I was sent a copy of DEVIL'S CALL by J. Danielle Dorn, all I knew was that it was considered a 'Western Horror' - color me intrigued. Taking place in rural America just before the Civil War, we are brought on Li Lian's journey to avenge her husband. Told to us in the pages of her diary for her unborn child we follow her from Nebraska to New Orleans to St Louis to find the man that murdered her husband. Li Lian, or Lily, is from a long line of powerful women. She is gifted in a way that scares most around her, she is a part of the MacPherson clan of witches. Growing up she needed to learn quickly that she needed to have control over herself and her urges to will things with her mind. One day, Lily meets a young soldier, Matthew Callahan, and a romance blossoms while he's away at war. She moves to Illinois with him so he can attend medical school, which then brings him out to Nebraska to be De Soto's doctor (small town). One night, Lily receives a warning from her mother of three highwaymen coming for her, she did not take heed to her warnings. Two men show up one night to their front door and one is badly injured. When Lily goes to get the local butcher Roger Hawking (to help her husband amputate a leg), she returns with Hawking to see her husband's murder. From that night on, she and Hawking go on a journey to track down the three highwaymen to seek vengeance. The story is told through the pages of Li Lian's diary to her unborn child. The accounts of what happened and why she will grow up not knowing her father. I really enjoyed the story being told this way. It was like sitting down to hear a story from your parents or grandparents. Dorn was very true to the time period - the language used, descriptions, and everything else were spot on for the pre-Civil War era. 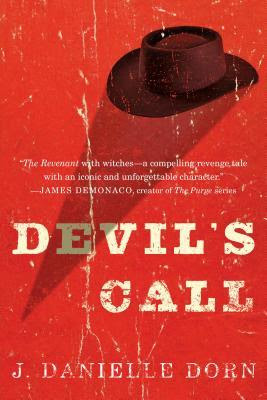 If you want a good period horror story with the occult, then I'd highly recommend this one. At just under 300 pages, this was a very quick read! If you aren't a fan of Westerns or that time period, then you may not enjoy this one as much. I am going to open this review by being brutally honest. When I received this book for our July #cjsreads titles, I almost added it automatically to my DNF pile. 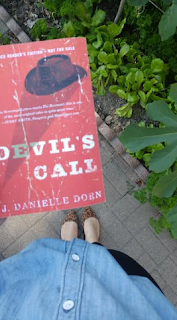 I don’t do Westerns and I don’t (usually) read historical fiction; this book was set in the iconic American frontier on the eve of the Civil War. However, I decided to read the first chapter and, I must say, shame on me for judging this book! Devil’s Call by J. Danielle Dorn ended up surprising me! From the first few pages, I was hooked as I followed Li Lian, a woman in a long line of witches who goes on to avenge her husband’s murder. Dorn brilliantly drew me in with the narrative style (told sort of diary style by our protagonist) and held on to me tight! I found this one incredibly entertaining. I do think that this title was slightly mismarketed as a horror novel; I didn’t find anything about this one particularly scary. It really was more like occult fiction. Also, do not be thrown off by the Western aspect of this novel, I promise it is not overwhelming or distracting. 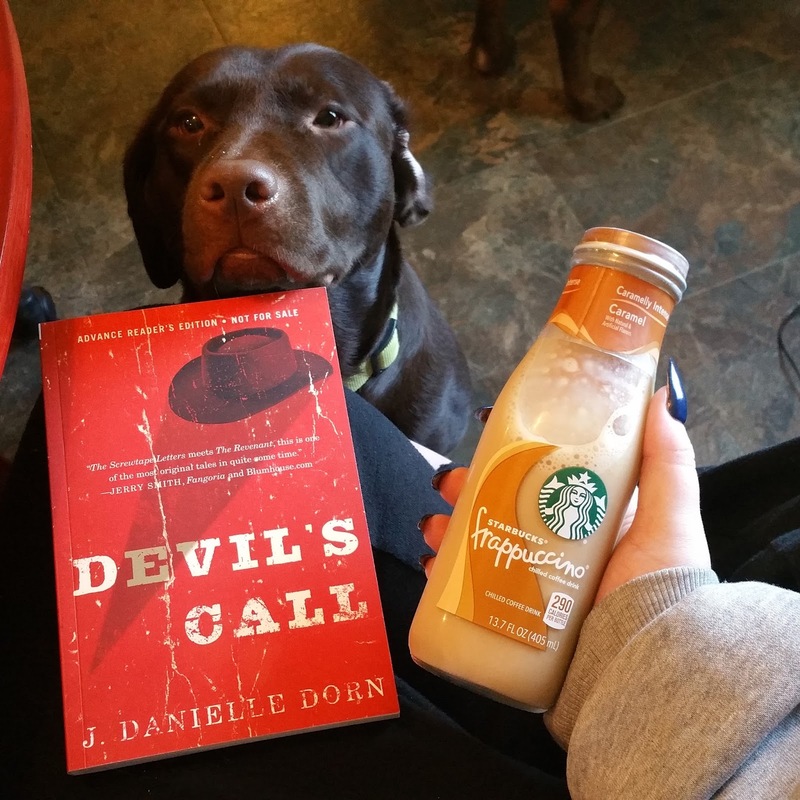 Overall, this novel surprised me greatly and that is not easy to do when you read as much as I do! I give this one 3.5/5 stars.